Back in February last year, two former Battlefield developers – David Goldfarb and Benjamin Cousins – announced they were creating a new independent games studio in Stockholm, Sweden called The Outsiders. Now, footage from the indie developer’s first title has been unveiled, and it looks pretty impressive. 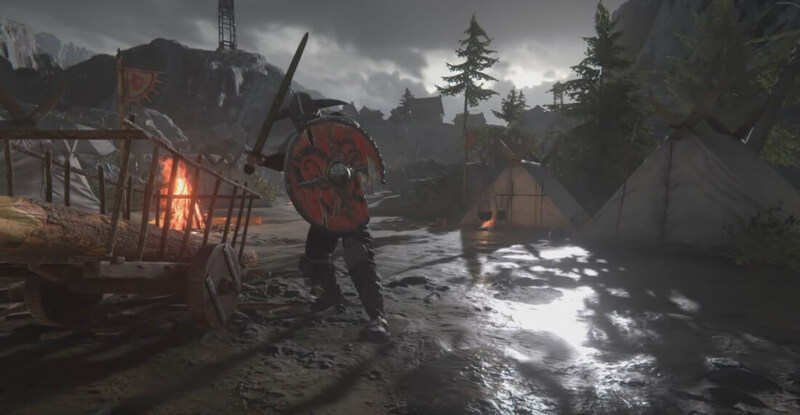 The first-person Unity-built RPG, codenamed Project Wight, “is set in an alternate history of the early Viking era,” where humans share the world with a forgotten species of intelligent creatures. But unlike many other games that feature “monsters,” this one sees you play the part of the beast. Goldfarb, who was also the game director on Payday 2, narrates the video, which starts with the player taking control of one of the young creatures. After watching your father get hacked apart by Vikings, you must evade the pursuing humans. During this early stage of its development, even the weakest of humans would prove too powerful for the vulnerable being. We then see the creature at a later stage in its life. Now bigger, stronger, and seeking revenge by tearing apart the Vikings who all but eradicated its race. Not only can it rip out a person’s throat, but the beast is also capable of flight and seems to possess a roar that can stun enemies. This part of the game is reminiscent of 2001’s Alien versus Predator 2. In the Alien campaign, players are advised to avoid confrontation with humans when playing as a vulnerable chestburster until it grows into a full adult drone (achieved by eating a cat, I seem to recall). There’s no word yet on a release date for Project Wight, but it looks to be shaping up nicely. There's so many fascinating creatures in Germanic mythology that a game could make use of I don't see why they they had to go and just INVENT one.